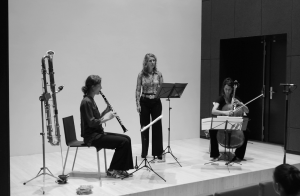 The Dutch ensemble To be Sung was formed by Elisa Roep – soprano, Eva van de Poll – violoncello and Fie Schouten – clarinets. 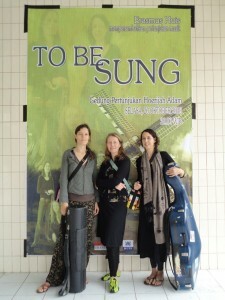 All three graduated at the Sweelinck Conservatory in Amsterdam. In 2001 they started their very own journey for mostly contemporary repertoire in which the warm and expressive sound of their lyrical instruments could melt together, creating the unique sounding performances they are known for. Besides performing established pieces the trio plays especially commissioned music, written with their exceptional instrumental combination in mind. They are regularly approached by composers and other artists from around the globe. In the Netherlands To be Sung have played such diverse venues as De Nieuwe Kerk Amsterdam, De Link (Tilburg), Lantaren-Venster (Rotterdam) and De Rode Hoed (Amsterdam); and several festivals like Festival in the Shape of an Egg, Karnatic Lab Festival (both Amsterdam), Festival van de Kortste Nacht (Utrecht) and Festival Kamerklanken (Den Bosch). Music by Selim Dogru and poetry of Nazim Hikmet and Judith Herzberg. Tour in TR and NL. Working together with 3 guestmusicians and the Turkish actress Hazal Selçuk. In 2010 To be Sung presented their series ‘Shorts’ with four different themes for four special venues in Amsterdam. Production with film (Vinex Productions) and working with poet Tjitske Jansen. in Yogyakarta they played at the Yogyakarta Contemporary Music Festival. In 2007 they played at Huddersfield Contemporary Music Festival (UK). this program is recorded on CD (label: Karnatic Lab Records). In 2004 the trio created a performance with two dancers for the festival OPENING! (Trier, Germany). In the last decennium 30 composers wrote pieces for the trio – see repertoire! 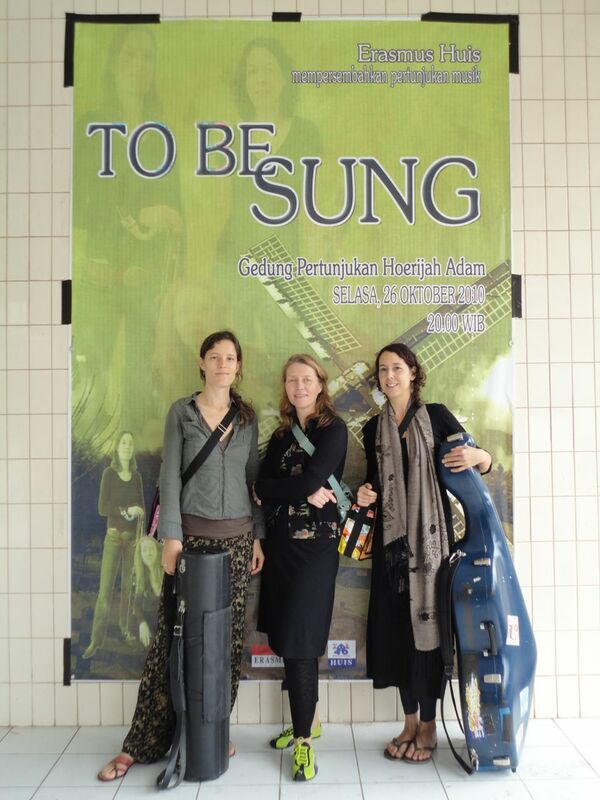 “Erasmus Huis presents a contemporary music concert featuring To Be Sung, a Dutch trio that offers folk-classic nuances within contemporary tunes arrangement. A very interesting combination as classic repertoires meet gospel instrumental, colored by vocal combination which sometimes heavy, small, reedy and mellow.